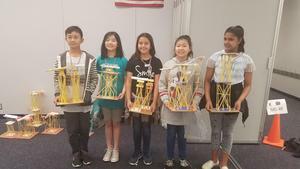 BUENA PARK, CA – Beatty Elementary School sixth-grader Alyssa Perez said she enjoys putting her engineering skills into practice and that she fostered this love while participating in Buena Park School District’s Gifted and Talented Education (GATE) Super Saturday competitions. The District’s GATE program has held bi-annual Super Saturdays for the last 13 years, bringing together students from across the District for competitions that focus on engineering. The most recent Super Saturday tasked about 70 students in teams of five to seven to build pasta- and paper-based structures to guide marbles into plastic cups. Students were graded on the height of their structures, how many levels they had and what size marbles their structures could support. “These events are great to have because they allow students from every school in the District to meet and talk to people with the same academic interests as themselves,” GATE teacher Michael McDonald said. 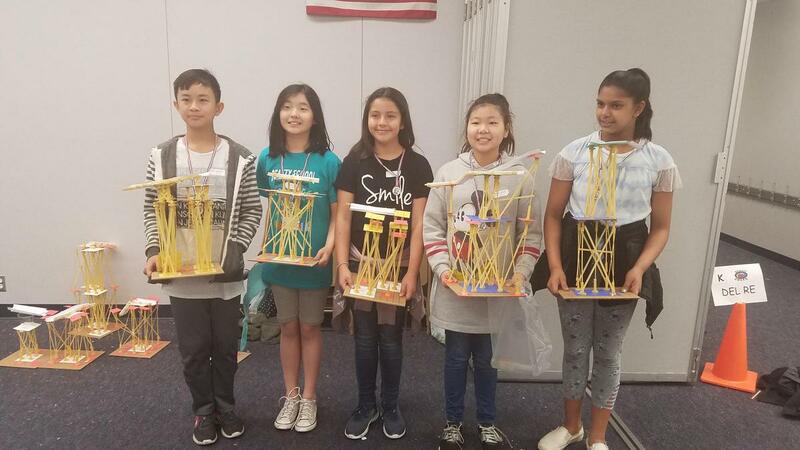 The winners of the April 2019 Super Saturday competition were Beatty Elementary School sixth-graders William Tat and Stuti Patel and fifth-graders Ava Kwon, Arabella Contreras and Abigail Jung. (Left to Right) Beatty Elementary School sixth-grader William Tat, fifth-graders Ava Kwon, Arabella Contreras and Abigail Jung and sixth-grader Stuti Patel hold the pieces of their pasta and paper ramp structures, which won first place at their District’s Gifted and Talented Education (GATE) Super Saturday competition.